Silk'n Sonic Clean Plus is a deep cleansing device that removes 6 times more makeup than manual cleansing. This new handheld device can be easily used for daily facial at home. Featuring fine bristles for deep cleansing and a rotating brush head for 360 coverage, this devices is ideal for cleaning all parts of your face including, forehead, cheeks, nose and chin. 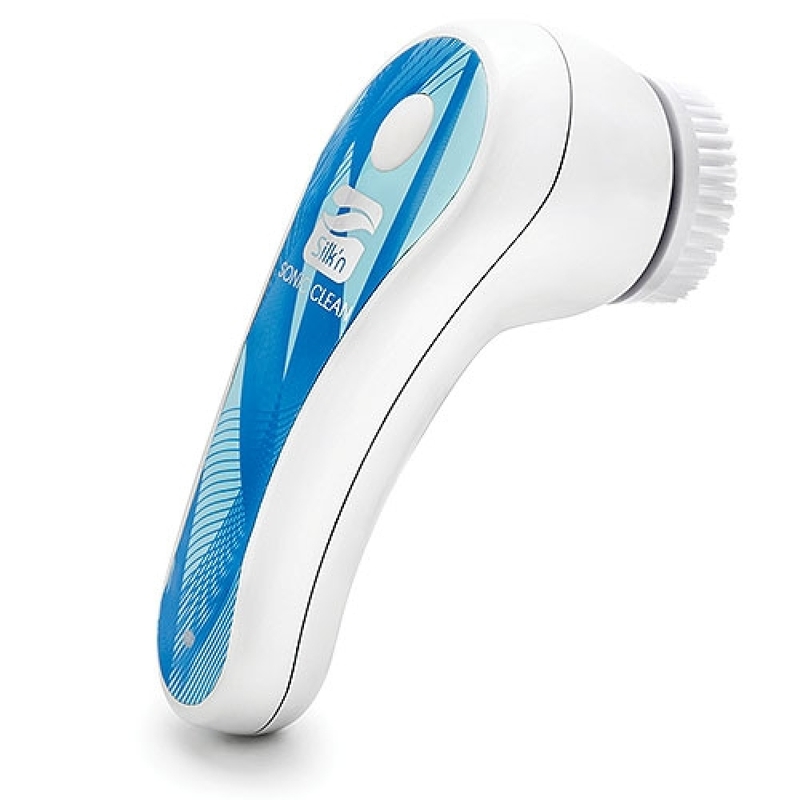 This Silk'n Sonic Clean Plus device isn’t just a cleanser; it also helps improve skin elasticity, thanks to its low pulsating mode. Another great feature of this device is its built-in 60 second timer that will automatically switch off after this time. Add this innovative and intelligent cleanser to your daily skincare regime simply by clicking on ‘Add to Basket’ option. What is Silk'n Sonic Clean Plus? It is a handheld cleaning device that makes make-up removal and deep cleansing easy and effective. The new and innovative design of this device allows it to be used for treating all parts of face. This user-friendly cleanser feature two speed settings – high and low that allow you to set the vibrations according to your need. Along with this, it also features high and low pulsating mode for cleaning, exfoliating and improving skin elasticity. Both men and women can use this device to dirt and pollutants that stick to skin all day long. The best use of the device is to remove makeup. Unlike traditional make-up wipes, this device removes all particles from deep inside the skin. 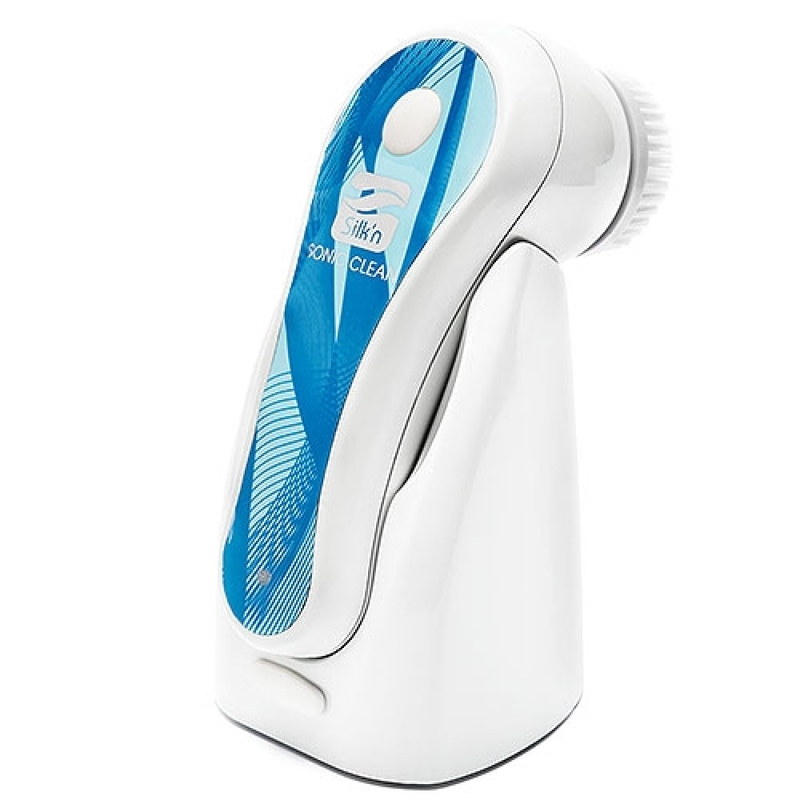 Silk’n Sonic Clean Plus device is waterproof and hence, can be used while you take shower. Dampen your face with lukewarm water and switch on the device. Move the device all over your face. As soon as 60 seconds are over, the device will switch off automatically. Follow with rinsing your face and applying suitable moisturiser. Cleaning the Silk’n Sonic Clean Plus device is really easy. You just have to detach the brush head and wipe it with a damp cloth or tissue and follow with air or towel drying. There is no need to use soap or detergent for cleaning the device. Avoid rinsing it with warm water. What is the content of Silk’n Sonic Clean Plus box? Buy Silk’n Sonic Clean Plus online from SkinCareTotal now simply by clicking ‘Add to Basket’ option. Placing your order with us is completely secure and easy. If you place your order by 4pm on any working day, we will deliver your product at your doorstep the very next day.